I am a freelance designer located in Minneapolis MN who has worked on national brands such as Best Buy, Hasbro, Island Defjam Records and General Mills. I also love doing work for local businesses to help them grow to there full potential. View http://www.nate-mueller.com to see my full portfolio. Contact me if you are interested in talking about a project. 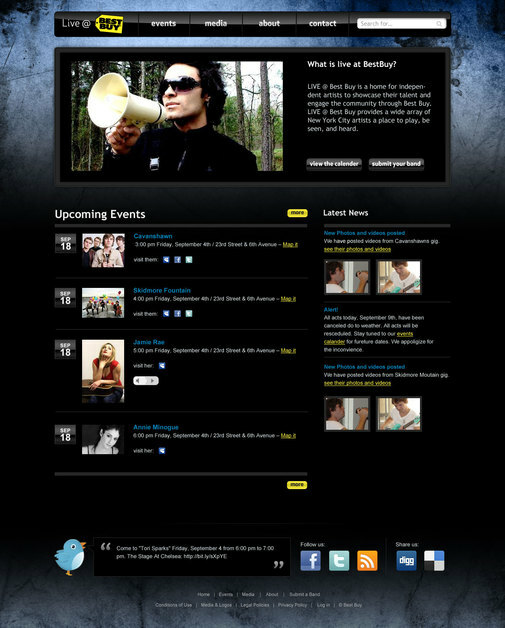 a site to promote live in-store appearances by local and national artists for Best Buy Stores.